Sometimes breaking down in the summer and spring months isn’t too much of a hassle: especially if the weather is nice. But breaking down in sub-zero temperatures is another story. Prepare your car this winter by following these tips. According to TheAA, the most common cause of breakdown is battery related. And battery related issues are exacerbated in winter months. Because of the cold weather, batteries have lower outputs levels, accept charges at lesser levels, and carry increased loads (lights, heat, wipers, etc.). To avoid issues in the winter months, TheAA recommends replacing your battery if it is five years or older, especially if your car has trouble starting up. An easy preventative maintenance step you can take to decrease the load on your battery at startup is to turn everything electrical off for the first few seconds when you start your car. Avoid a breakdown this winter by taking care of your battery. Do you remember the last time you bought windshield wipers? If not, it’s probably time to get a new set. You can find wipers made specifically for the winter at your local auto store. These wear down less from ice accumulation and remove ice from your windshield easier than non-winter wipers. Well, according to TireRack.com, the actual equation is 2% per every 10-degree Fahrenheit drop. But for the average car tire requiring 30-50 psi for adequate inflation, the difference between the summer and winter temperature could lose you at least 5 psi in tire inflation. That difference could end up making your car slide on the snow. Be sure to check your psi periodically in the winter months to ensure your tires are up to the car manual’s specifications. This might sound strange, but car washes are imperative in the winter months if you drive on roads that are constantly plowed and salted. The salt can cause rust on your car’s frame and break and gas lines. Car washes will keep your car untouched by the dangers of winter-related rusting. The winter months don’t only call for a change in attire. But they also demand certain preparations be made to your car. 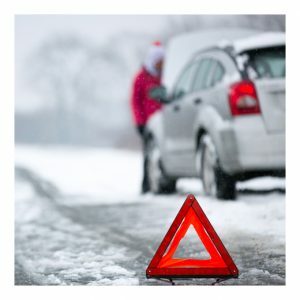 Get your car ready for the winter by following these tips. The post Prepare Your Car for Winter appeared first on Apartments For Us.